Memorial Day is behind us and it’s officially summer time! It’s a great time to plan another party with your best friends. Last year was memorable with old friends and family stopping by for the annual 4th of July all day bash. The kids played in the little toddler pool in the yard and the sandbox. All you young parents scooped them up and brought them under the Eclipse E-Zip Side Retention Solar retractable shades with the Insect Screen system so everyone was protected from the midday sun and then from any creepy crawlers or crazy flying bugs at sundown. 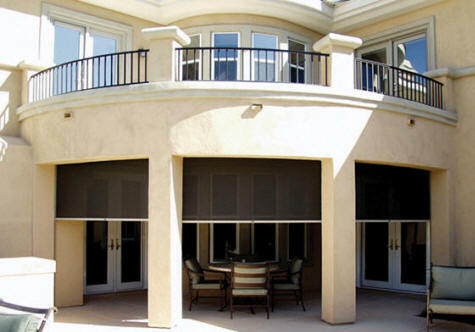 When it comes to shading, you can’t do better than world famous Eclipse Shading Systems® retractable outdoor solar shades to give you the peace of mind that your family is getting the best possible protection from the sun and with the Insect Screen, no aggravation from summertime bugs. 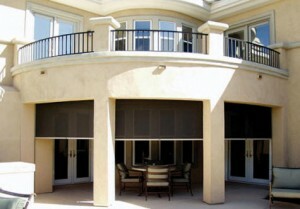 Eclipse shading products also reduce sun glare and indoor fabric fading while reducing heat gain. The food was great and the festivities from sparklers to mini rockets brought wide-eyed awe at sundown. You got all the chairs positioned just in time for the first pop, pop, pop of the big fireworks in the fields down the block. It’s a secret, but you’re already planning the next party under your Eclipse awning and this will be a grown-up surprise party for you-know-who! Shhh, don’t tell. There’s still time to call your local authorized Eclipse Shading Systems dealership and have your home shaded with the best awnings you can purchase along with 5-Star customer service.